New York, NY - NYC Police Commissioner Bill Bratton announced that the end is in sight for the ongoing NYPD corruption probe, with senior members of the New York’s Finest possibly facing criminal indictments. 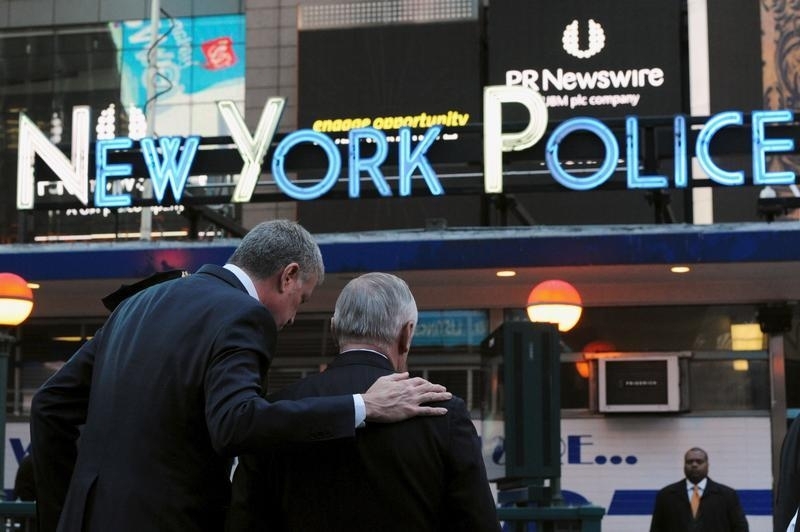 Bratton’s remarks came today during a radio interview with John Gambling on WABC, the first time he has discussed the possibility that some of his top brass may wind up in jail as reported by the New York Post. Two separate corruption schemes spell trouble for the twelve officers that have already been disciplined as part of the probe. One involves members of the NYPD accepting lavish gifts from two businessmen in exchange for official favors. The second involves a gun permit scandal that had members of the NYPD’s licensing division selling gun permits that were then resold at a profit. “There’s great concern in that very sensitive division that individuals had inappropriate connectivity into that division and circumvented some of the extraordinary safeguards we’ve built in to ensure that only appropriate people get gun licenses and gun permits,” said Bratton. No criminal charges have been filed yet in the investigation and Bratton noted that most of those involved are among the NYPD’s senior leadership. “The point of it is that the vast, vast, vast majority of our officers should have no concern,” Bratton said. Bratton’s words come six days after NYPD Inspector Michael Ameri committed suicide as previously reported on VIN News (http://goo.gl/ts36qp). Sources said that Ameri was concerned about the ongoing investigations but Bratton said that Ameri was not among those who were facing criminal charges. “Some of this will result probably in criminal indictment, some will result in conflict of interest rulings, possibly, they usually end up with fines and some of it administratively in the department may result in administrative personality’s suspensions,” said Bratton. Bratton also noted that some of the officers in question may choose early retirement to spare themselves public embarrassment. Bratton himself is part of the problem. And charges for the two "businessmen" and the gun expediter? Takes a two to commit bribery.